Pass Module name in variable to other (generic) module ? Can I call a module () with the name of another module as a parameter ? for instance, to cut-off everything below z=0, I difference the object with a cube that is below z=0. If I make a generic cut-off module, I could call that one, supply the name of the object module and it will cut the remainder off. i have more idea's to process other modules ... for instance, punch a hole in them, this way. Re: Pass Module name in variable to other (generic) module ? I doubt that there is any way in OpenScad to pass the name of a module to be called as a parameter. However, OpenScad has probably an even better alternative: the concept of children! nice solution. Definitely gonna do that stuff. So 'Children' is in fact the united instructions you perform a function on ? Or do I miss it ? 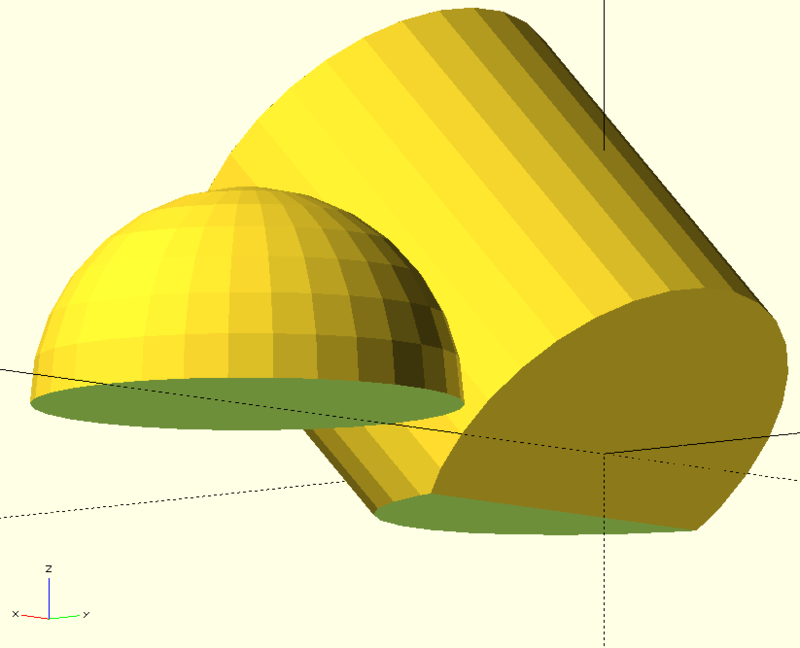 OpenScad's children() will execute all or some of the constructs which follow the module call. For more than one "child", the "children" are surrounded by brackets. So, looked at from this point of view, the standard difference() is actually subtracting children([1:$children-1]) from children(0).